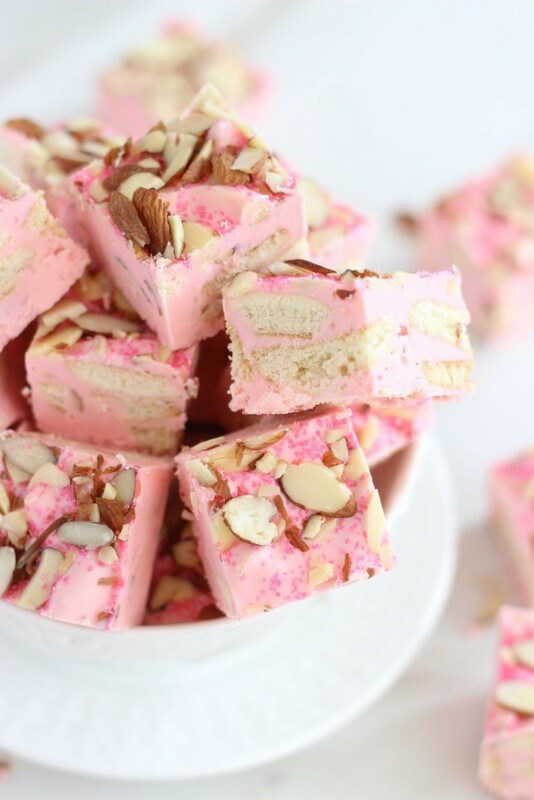 Sweet and crunchy Nilla wafer cookies, strawberry frosting, slivered almonds, and white chocolate chips come together in this super simple and fast 5-Minute Strawberry Shortcake Fudge! 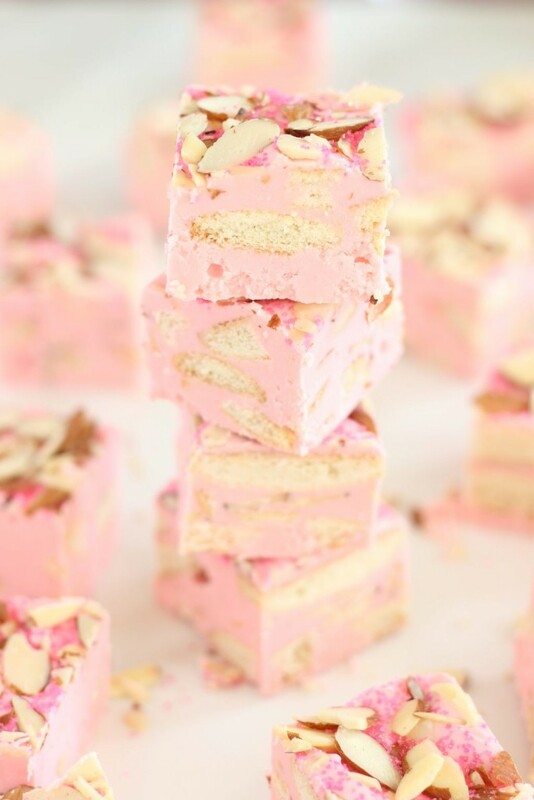 Ready in minutes, this decadent 5-Minute Strawberry Shortcake Fudge will satisfy your sweet tooth! Perfect gift for your Valentine! Had to. Had to do it. I love this 5-Minute Biscoff Cinnamon Bun Fudge so much that I had to make a Valentine’s Day version, so I came up with this 5-Minute Strawberry Shortcake Fudge. 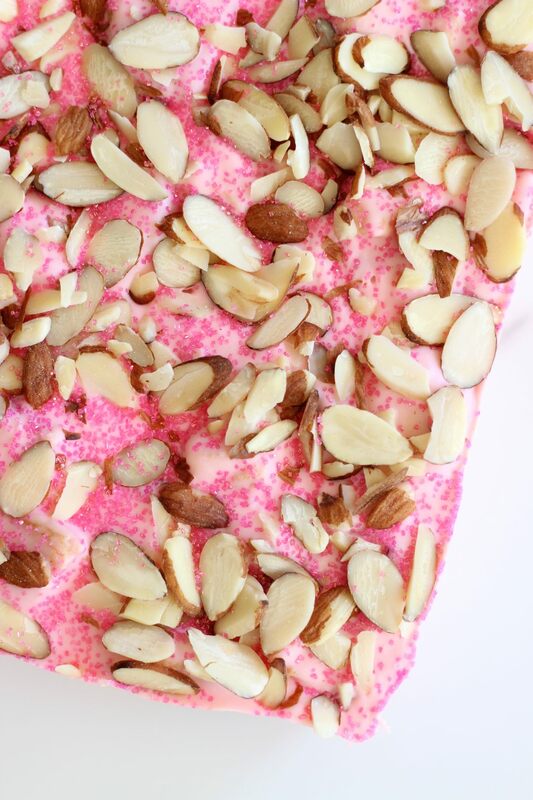 I remembered finding prepared cherry frosting last year around Valentine’s Day, and originally, I wanted to make this a Cherry Almond Fudge. That was my grand plan. But I think it’s a seasonal item. I was waiting for it to pop up again in stores so that I could make it, but as soon as I gave up, I spotted it. Too little, too late! 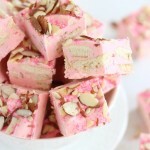 I’d already headed in a new direction with this 5-Minute Strawberry Shortcake Fudge, so it all worked out. I have the cherry frosting in hand now too, so maybe I should make that anyway??? 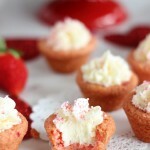 At least prepared strawberry frosting is something you can find year-round! If you decide to make this recipe in the summertime when a craving for strawberry shortcake hits and you need a fast fix, you’ll be set. 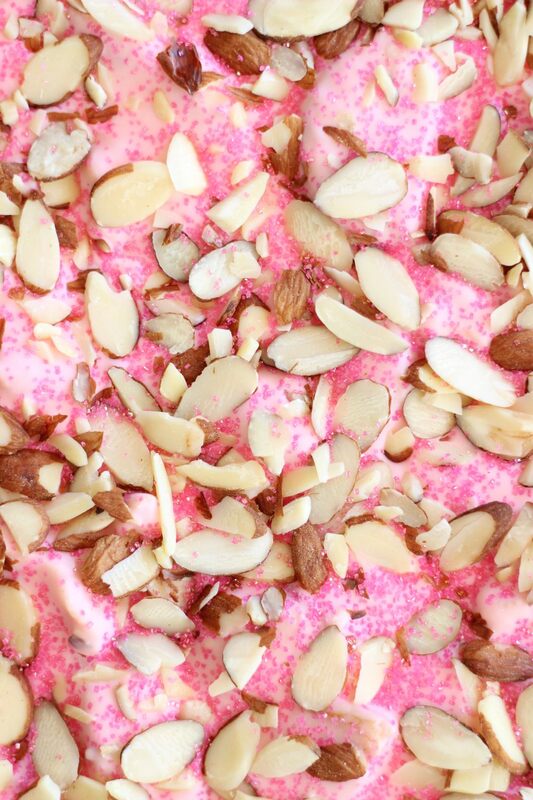 This 5-Minute Strawberry Shortcake Fudge hardly feels like I settled though. Cherry would be great, but this is delightful too. 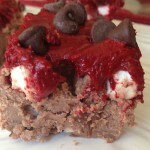 There’s a very short list of ingredients to make this fudge, and they are all easy to find. The prep time is seriously 5 minutes. 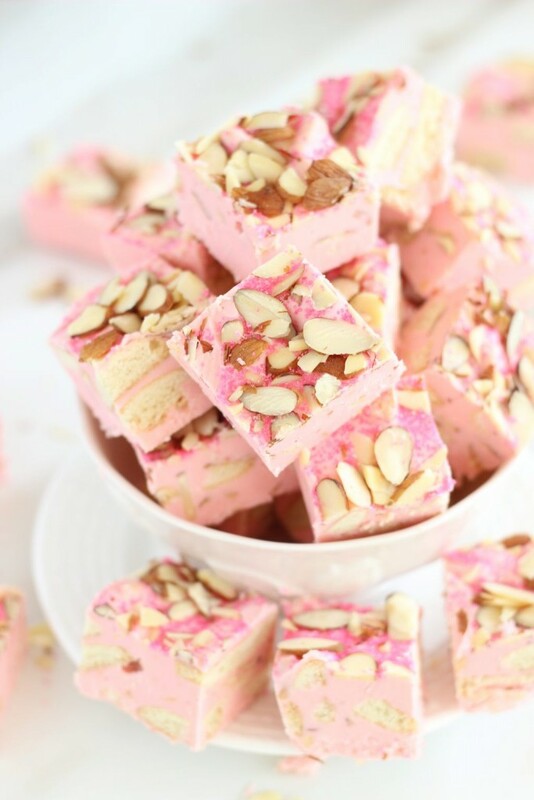 Yes, okay, you have to then wait for the fudge to set, and that takes a little bit of time in the fridge, but you are only dedicating 5 working minutes to making this 5-Minute Strawberry Shortcake Fudge. 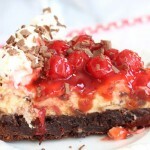 Combine the strawberry frosting with white chocolate chips in the microwave, stir in a little almond extract (just for good measure and to give dimension to the fudge’s flavors), and fold in crushed vanilla wafers or vanilla sandwich cookies. 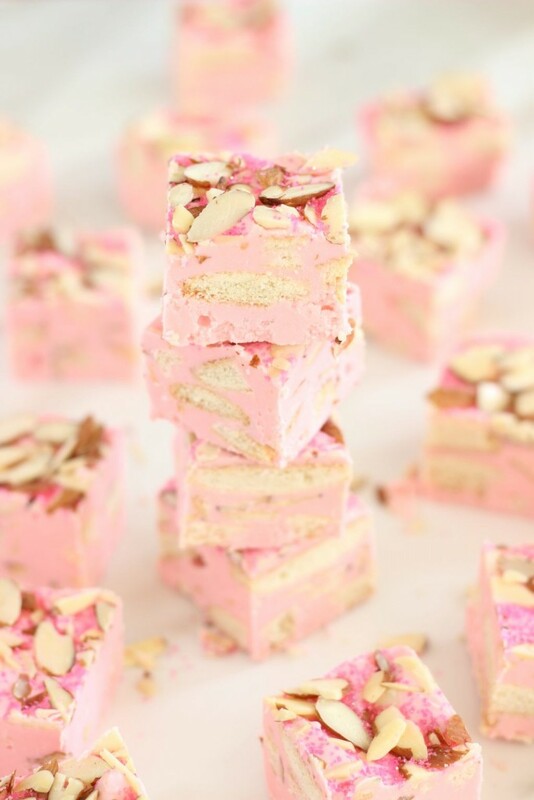 This 5-Minute Strawberry Shortcake Fudge recipe is foolproof. 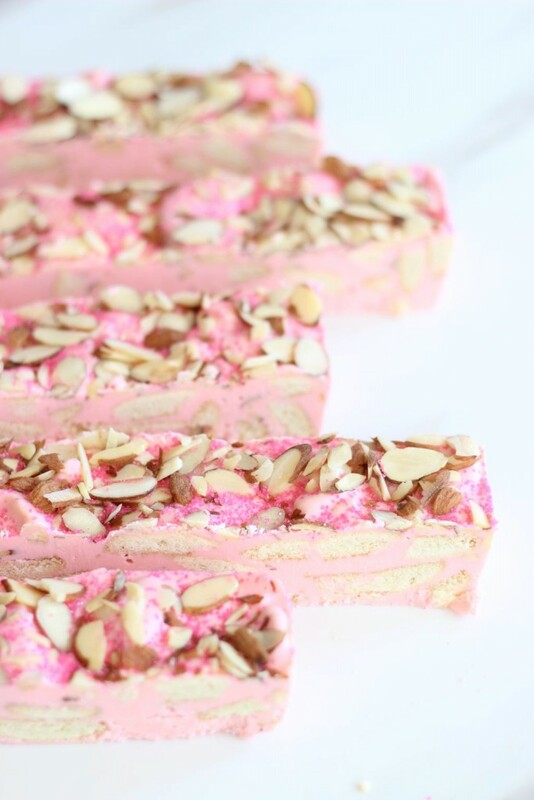 Tastes just like strawberry shortcake in fudge form. Nobody has to know that you made it in under 300 seconds! 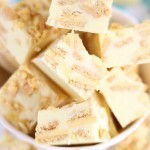 I have a BUNCH of these super quick & easy fudge recipes that prep in about 5 minutes, so for other options, check out this crazy popular recipe for 5-Minute Pina Colada Fudge. It’s unbelievable! I also adore this Lemon Cream Pie Fudge that’s ready in about 10 minutes, and so, so good. I have a few peanut butter-based ones: 5-Minute Peanut Butter Cup Fudge and White Chocolate Peanut Butter Cup Fudge. 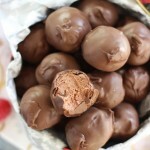 Regular chocolate or white chocolate, pick your poison! There’s this 10-Minute Candy Corn Fudge (I loooooove it!) too, and it’s soooo good for fall and Halloween! Fold in the crushed Nilla wafer cookies and 1/3 c. almonds until just blended.